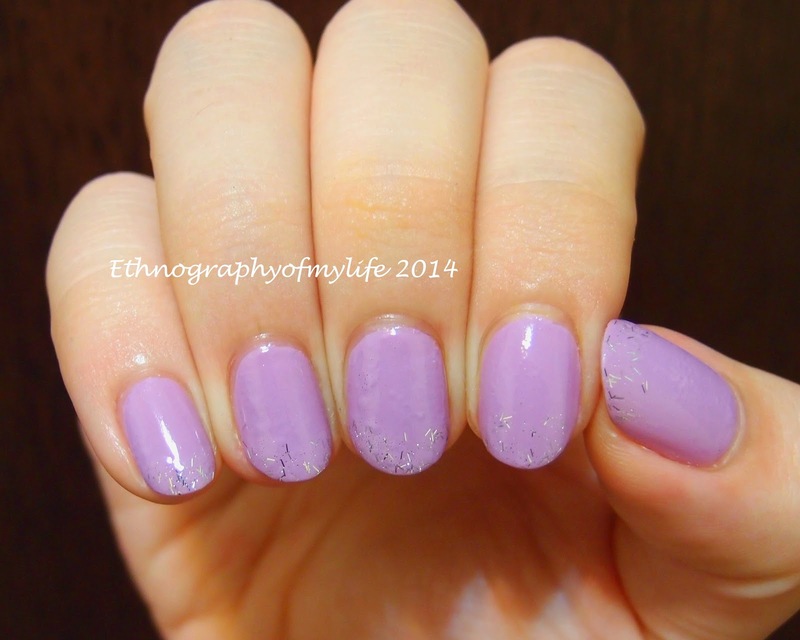 A simple, plain purple nail manicure I got it done in Hygeia! A couple weeks ago, I decided to visit Hygeia Spa for a hand treatment. I received a GWP from my last shopping trip to E-N@il and it was going to expire soon. The free coupon is a hand treatment for about 40 mins. The girl trimmed my nails a bit and pushed the cuticles back. She also polished my nail surface and painted my nails in the color that I chosen. Here's the result from that! What do I think about Hygeia Spa? Well, I feel the service is very ordinary. Be honest, the coupon face value is $600 NT, approximate $20 CAD and I don't feel the service is worth the price. I can do those tricks better by myself. Still, it is nice to have someone to serve you :) However, I dislike the polishes they put on, it feels so sticky and dries very very very slow. Hygeia Spa doesn't use E-N@il polishes, they have their own line called ECO nails. It claims to be less toxic and lasts longer than E-N@il polishes. Well, it certainly dos not appeal to me. That summaries my first visit to Hygeia Spa!